Anthony Lemke is a busy man. The TV star recently began filming season 3 of the hit sci-fi space drama Dark Matter, and is also a spokesperson for Handicap International Canada. Through the organization, Anthony recently visited Laos to see the amazing work they are doing first hand. With the International Day of Persons With Disabilities coming up on December 3, we sat down with Anthony to learn about what Handicap International is doing to help those living with disabilities in conflict zones. Read on to get the scoop on Anthony’s upcoming TV projects, and hear about his work with Handicap International. 1. 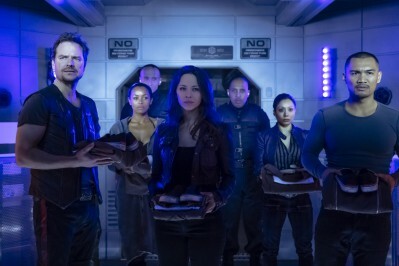 You’re back on-set filming season 3 of Dark Matter. Can you share any fun behind-the-scenes moments you’ve had with the cast so far? The first episode we’re shooting is actually the fourth episode of the show. It’s probably the most different and most comedic episode we’ve shot. It’s based on one of my favourite movies – and I will not say which movie because then you’ll know exactly what’s happening in the episode – but it’s literally shot in a different style. So it’s been a lot of fun to be able to play in this style that isn’t what fans of Dark Matter are used to. It’s very different, so I look forward to seeing how it’s all cut together. 2. 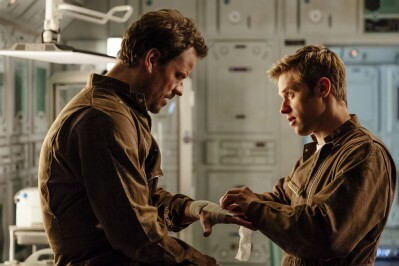 Can you tease some of the things that the crew will have to deal with in the upcoming season? I actually only have read up to script five, so I can say that the following questions will be answered. What happened to the crew of the Raza after it looked like they were stuck in dire straights at the end of season two? We’ll also address Six’s conflict between doing the right thing and being part of the crew of the Raza. And of course, the complications that arise from Four becoming the emperor at the end of season two will play out in season three. 3. This spring, you’ll appear alongside Matthew Perry as Joe Gargan in the upcoming Katie Holmes co-produced mini-series The Kennedy’s: After Camelot. Can you tell us a little about your character and share what it was like working with Matthew Perry? I play Joe Gargan, who is a cousin, and almost like an adopted kid of the Kennedys. And it was his house that the party was at prior of the Chappaquiddick incident. And shooting with Matthew Perry was cool because, hey, it’s Matthew Perry. And for anyone who’s my age and grew up in the 90s, that’s huge. So that was a lot of fun. He was great and really serious about his work. And most of my scenes were with him because I was playing his cousin. 4. 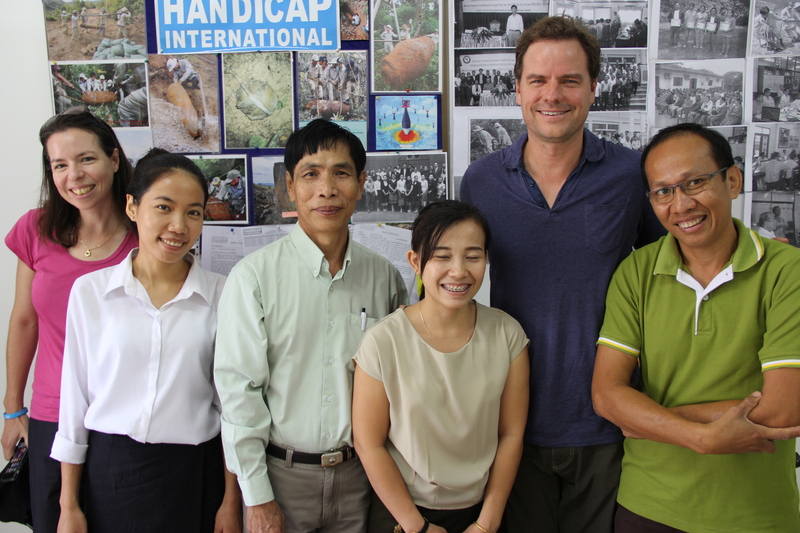 You recently returned from a trip to Laos with Handicap International Canada. Can you tell us a bit about what you learned on your trip and what the situation is like there? The situation there is in a lot of ways, very dire. 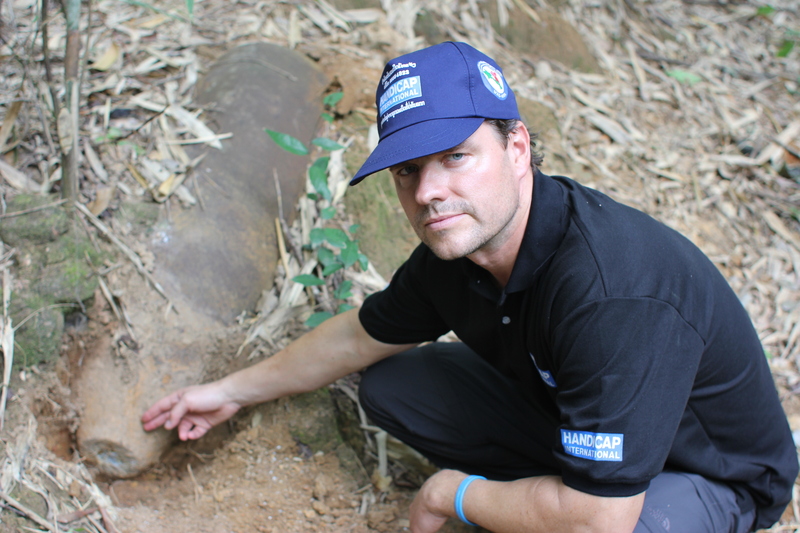 There are between 79 and 80 million unexploded ordnances in the country. Just to give you an idea of the scale of that, I saw the Handicap International demining team working on a field roughly the size of a suburban high-school ground in between two villages. It will take a team of 12 people about a year and half to clear that, and they will pull 60 bombs out of the ground. 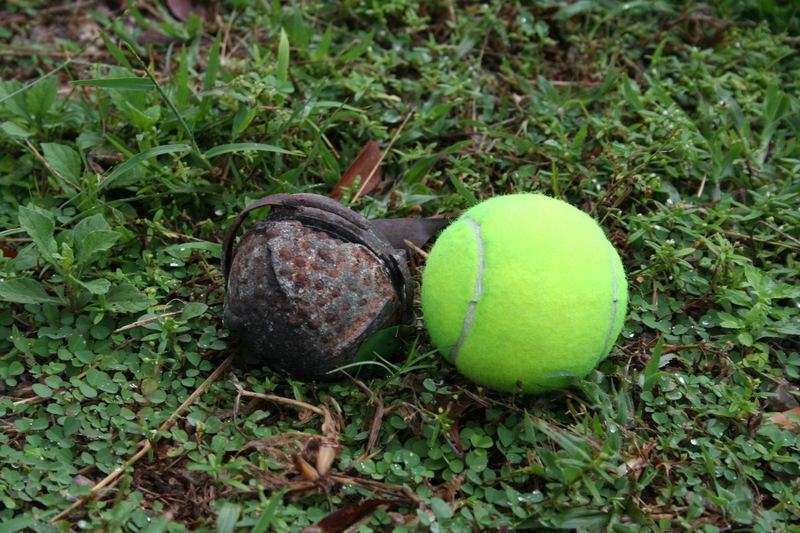 The bombs are roughly the size of tennis balls and each of these comes from a cluster bomb. 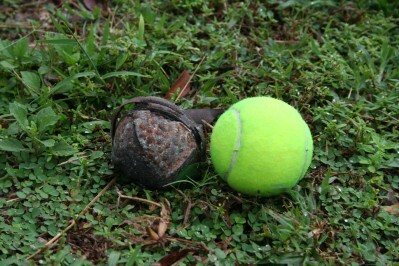 There are 300 of these little things in each one of the cluster bombs, many of which did not explode. So just doing the math on that, you can see the kinds of challenges that the Laotian people are facing. That was heartbreaking to be honest. It won’t be solved in my lifetime; people will still be dying from bombs dropped in a war that ended over 40 years ago. When my kids have kids, there will still be people dying in Laos from that war. 5. Tomorrow is the International Day of Persons with Disabilities. How can Canadians support Handicap International in its mission to clear unexploded ordnances and support those living with disabilities? Supporting Handicap International can be done in a number of different ways. You can visit the website to see the different ways you can do it. But generally speaking, things Canadians can do are understand what Handicap International does and spread the story. A lot of funding that Handicap International receives is from governments, so it’s important that our politicians understand that Handicap International is supported by the Canadian community. We need to show that we are behind what Handicap International stands for, which is supporting people living with disabilities in zones of natural disaster and conflict, where the home governments can’t. Also, if you want to give money, you can give money. But also, Christmas is coming up. The auction website closes on December 3rd. There’s lots of Dark Matter prizes up for auction, and also lots of other great prizes that are completely unrelated to Dark Matter. And they all go to support Handicap International causes worldwide. 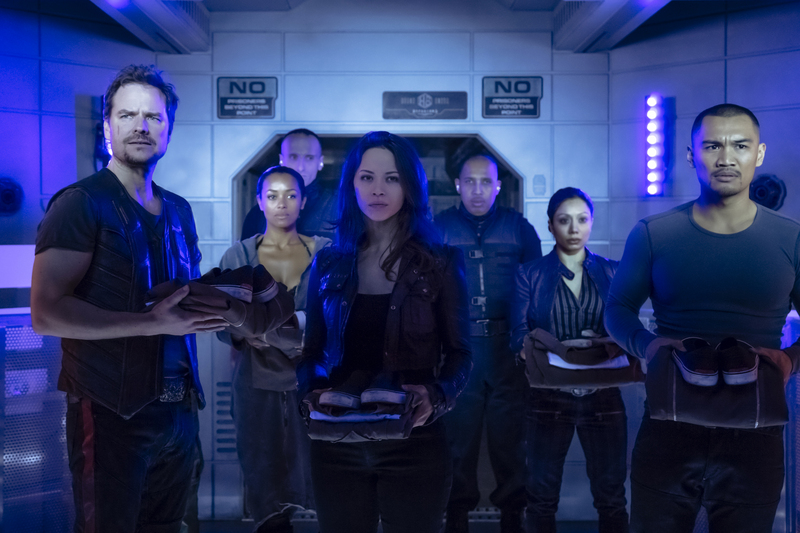 To view the online auction benefitting Handicap International, which includes the opportunity to meet the cast of Dark Matter, click here. For more information on how you can support Handicap International Canada, visit www.handicap-international.ca.